2. Follow Victory Garden Yarn on instagram @victorygardenyarn. 3. Comment this post with your email, along with your favorite item from Victory Garden Yarn. 4. 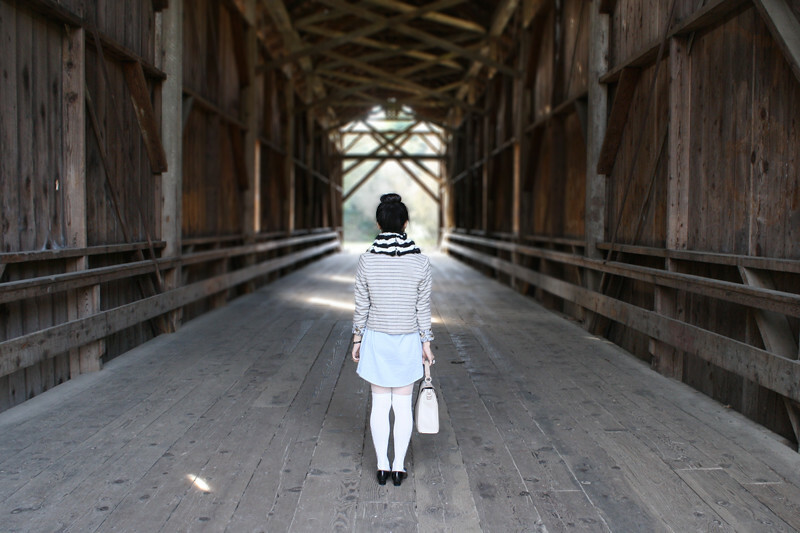 For an extra entry, follow me on lookbook or follow me on instagram @itsnotheritsme. PS. 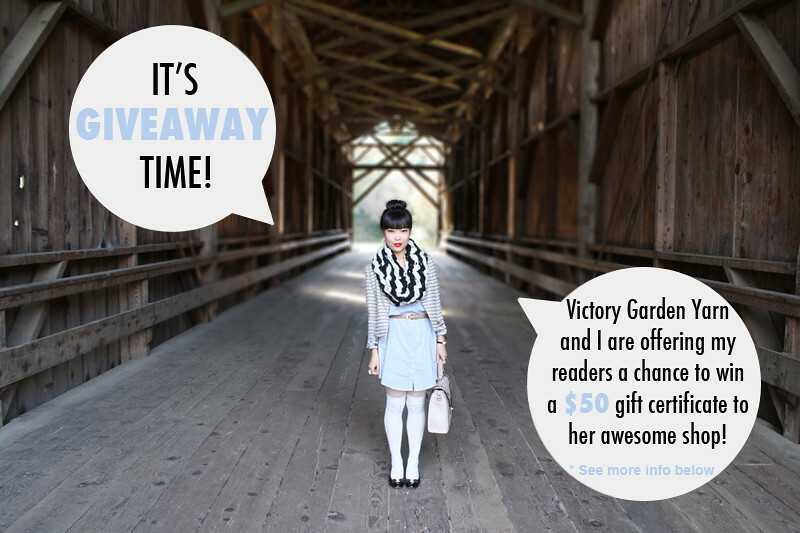 For a limited time only, Victory Garden Yarn is also offering my readers 10% off! Use code "ITSME" to receive the discount at checkout. Snowdrop cowl in black and fisherman c/o Victory Garden Yarn. Chambray shirt dress from F21. 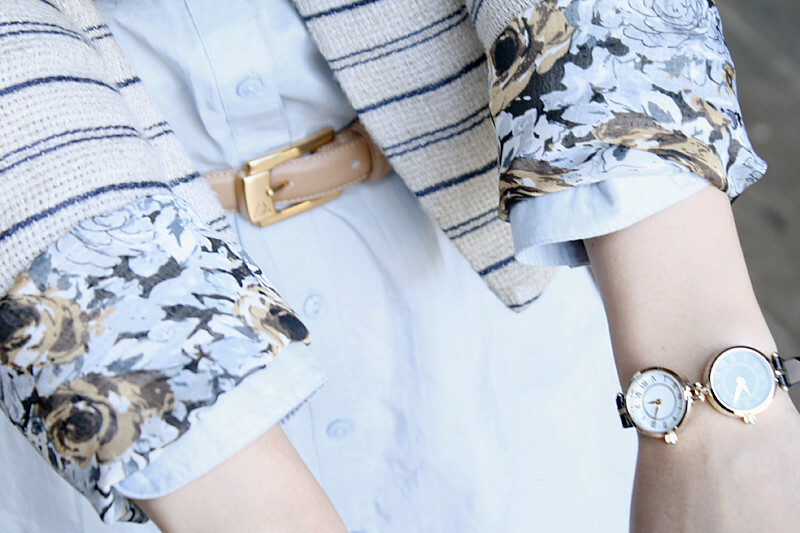 Stripes linen blazer by Many Belles Down from my work Sway. Sheer dotted tights from H&M. Vintage bow leather flats by Salvatore Ferragamo from Etsy. It's really exciting to see such poised and put together style coming out of Santa Cruz. I adore my adopted hometown but I sometimes get tired of the constant trust fund grunge I see coming out of UCSC. I love them all! So unique & fashionable.. 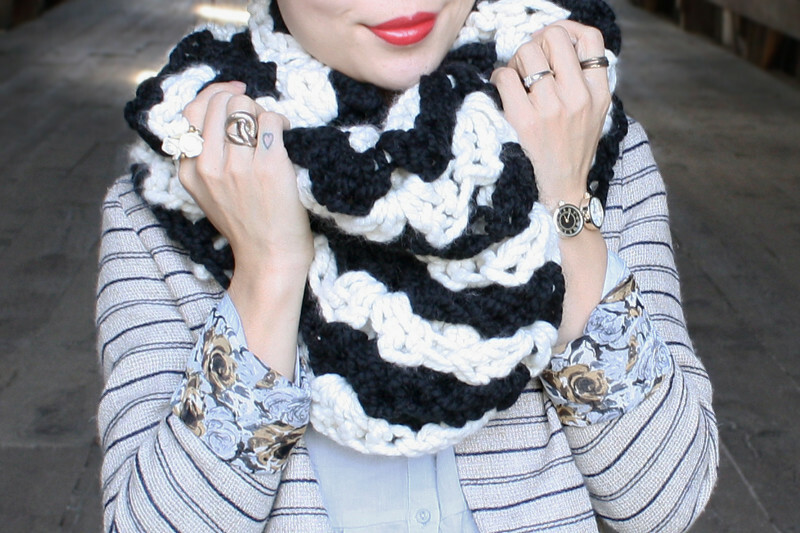 I love the snowdrop cowl scarf! Completed 1-4 as well... ohhh hope I am selected! really great look ! color combinations - I like it !